Salvatore G. Scro of Tannenbaum Scro, P.L. Salvatore G. Scro manages the complex litigation section of the firm and represents clients involving various areas of litigation, real estate, and business matters. Mr. Scro received his undergraduate degree from St. John Fisher College in Rochester, New York in 1984 and his Juris Doctorate from Thomas M. Cooley Law School in Lansing, Michigan in 1987. He is admitted to the New York, Washington, D.C. and Florida Bars and is also admitted to practice in the Federal Court for the Middle District of Florida. His areas of concentration include all aspects of civil, construction defect and personal injury litigation, real estate and business litigation, real estate transactions and closings, contract and business matters. 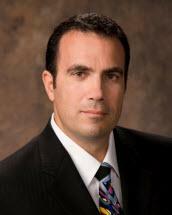 Since relocating to Southwest Florida in 2006, the majority of Mr. Scro's practice has involved representation of homeowners and condominium and homeowner associations in complex construction defect litigation and turnover matters, and representation of clients in business, civil and personal injury litigation matters; and commercial and residential real estate transactions.